Home > Climate > Transportation > Turo Reviews: Is it the Airbnb of Cars? Turo Reviews: Is it the Airbnb of Cars? Traveling and need a way to get around town to explore on your own? Or carless and looking for a way to run errands? Car rentals are the more traditional route to go, but car sharing services like Zipcar and Car2Go are racing to give consumers more options and flexibility to rent short-term vehicles. But what if those services don’t exist in your city, or you need a car for a more extended period? Thanks to Turo (formerly RelayRides) you can rent vehicles from others who aren’t using them (like the Airbnb for cars) and often they’ll be more convenient and affordable than other car rental services. 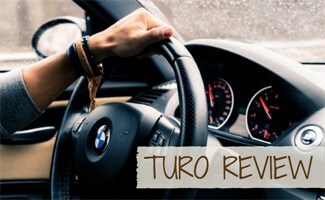 Learn more about how Turo car rental works, how much it costs and more (including our personal experience using the service) in our Turo Reviews. Turo peer-to-peer car sharing service is much like renting a house or an apartment on Airbnb. Upon visiting their website (or using their app) you enter the destination of where you need a car, the dates and times you are interested in, and a list of cars will show up in search results. You can further narrow down your options by make, model, distance and even color! At Earth’s Friends, we highly recommend that you rent a car that gets good gas mileage like a hybrid or electric car (if possible). And if you’re feeling extra adventurous on your next vacation, you can even rent a Tesla. Watch this quick 90-second video to see Turo in action. If you meet these criteria, congrats! You qualify to rent from Turo. Keep in mind there is an approval process, but if you have everything you need it can be verified in a matter of seconds. Does My Insurance Cover Turo? Turo insurance is a must and required to become a member and rent out your vehicle. This is for the safety and security of the owners and your protection should anything happen. Similar to renting from a rental car company, Turo offers insurance; however, you can choose to decline it if you have your own insurance policy. Insurance varies from state to state, so if you have questions, make sure you talk to a local insurance professional before renting a car on Turo. Skip the car rental lines and paperwork, just grab keys and go! Cost varies widely by location, make and model (and owner’s discretion). Note: When you make a trip request, your payment card is authorized only and your card is not charged until you officially book your trip (unless you’re using Apple Pay or Google Wallet via smartphone). Any additional mileage, parking tickets, cleaning fees, etc. will be charged after the trip ends. If you need to cancel, your payment will be available for 24 hours to use towards another trip. Get $25 off your first trip with Turo by using coupon code michelles428 at checkout via this link. Our Earth’s Friends’ team has used Turo several times during our work trips and wanted to share our firsthand experience. When looking for last-minute car rentals from the major car rental companies in the Charlotte, NC, airport (CLT), most rates we found were pretty pricey. So we turned to Turo and found a great deal on a Jetta that was in perfect condition. The owner even met us at the terminal both for drop off and pick up, which saved us time from having to hassle with the car rental shuttle and center. Another time at the same airport we got scooped up at the curbside pickup by the owner who unexpectedly took us to her house to drop herself off. Luckily, it wasn’t that far out of the way, and she gave us some shortcuts to our destination and tips about the souped up Ford Fusion during our ten-minute detour. Before this Ford Fusion booking, we had reserved a BMW with another owner. Less than four weeks before the trip, the owner contacted us and said his car had been in a wreck and was no longer available on Turo. We received a refund immediately and, fortunately, there were still other options available to book. Finally, we used it at the Tampa, FL, airport (TPA) and had a similar situation to our first time in Charlotte. The owner met us at the curb with the keys (got a ride with a friend), and we were on our way in minutes in a pimped out Jeep (pictured here) which made for a fun way to get around the bay. All three times we’ve used Turo has been at an airport, so we can’t speak to other pick-up and drop-off locations, but it’s likely similar. Note that some owners charge an additional fee for airports or meeting you at your designated location, but, for us, it was worth it to save time and effort. Vrrooooom…. Ready to Jump on Board? Let Turo help you capture those Instagram-able photos in a convertible on your next vacation, surprise your honey with a luxury car for your next date night or special occasion or help you save money on your next business trip. Whatever the case may be, car sharing is the newest trend in transportation, and now you have more options than ever to ditch your car knowing that you have reliable options, in case you ever need one. What about Turo competitors? There are no other peer-to-peer car rental companies that we know of yet, but ZipCar has a car sharing service that allows you to rent for shorter periods of time. Would you or have you ever tried Turo or any other care sharing service? Sadie is a vegetarian and an avid recycler who loves riding her bike and practicing yoga. She is passionate about the planet, conserving life’s precious resources and making the world a better place for generations to come. A big fan of up-cycling, Sadie loves yard sales and vintage stores to find new uses for old things. She loves to cook, clean and enjoy the many parks and outdoor spaces in DC where she currently resides with her husband. Disgusting company that treats its hosts terribly. My car was damaged and the seats were stained and they would not reimburse me. A family with small child had a good time with my car on a 2204 mile road trip and returned it absolutely filthy and Turo questioned my trustworthiness in the damage claim. I was a five star host and i closed my account immediately because they would not reimburse me. Never ever rent your car on Turo, there are other companies out there. Uber owns them, so that should tell you the whole story, don’t use them either. I was initially really excited about Turo as they had a car available during a peak period when many of the rental car companies in our area did not. It was also a last-minute booking (about 10 hours ahead of pick-up time), so I was grateful. Things went awry as soon as I went to pick-up the car. The owner had decided to leave the car in the driveway with a note. The car was filthy, both inside and out. The gas tank was empty. The owner apologized they didn’t have a chance to wash before I picked-up. As soon as I started to drive the car, I discovered that several major functions were not working, including rear lights, one of the turn signals, etc. I feel lucky I was not pulled-over as these are violations. I pinged the owner to let her know about the problems and she was totally unapologetic. I needed the car as the rental car companies didn’t have anything, so I was stuck driving this for several days. I felt super unsafe. I ended-up returning the car 1.5 hours late due to traffic. I pinged the owner in advance to let her know. After all the awful car troubles, she still chose to charge me for the extra 1.5 hours. I complained to Turo and I can’t remember a time when I’ve experienced worse customer service. We went back and forth many times without Turo even so much as apologizing for my experience with the car, which did not meet basic vehicle safety requirements. I carefully reviewed Turo’s policies and saw that they had violated their own policies in terms of inspecting vehicles older than a certain number of years. After exposing this, they first removed this vehicle from their inventory, and then after much demanding, they refunded me a tiny portion of the rental, which they indicated was the percentage they kept from the deal, since the owner apparently keeps most. Turo obviously has a huge way to go in terms of ensuring vehicles are of adequate quality, and in terms of customer service. My experience was bad enough that unfortunately I won’t be giving Turo a second chance. TURO IS A SCAM!! !, and if you use this service long enough you will encounter a crash that will more likely than not cost you a ton of money. First off turo does explain what happens if a renter crashes your car under the influence. Their representatives will say yes but anyone working their that knows better ( they tell their employees to say yes that its covered cause its your word vs. theirs in court and they will state that you have to call the insurance yourself to know,… which they told you, even if they didn’t tell you). When in reality any top rep of turo knows your car will never be covered in an accident if the driver is under the influence cause no insurance covers that so it has nothing to do with TURO!!! They lie , lie, lie. Anyone renting a tesla better realize that your coverage is worse then everyone else’s. You will lose a lot of money if someone totals your car cause it only has a ACV and no other limit. Expect to lose over $20,000! if your tesla is totaled, and IF NOT expect to pay out of pocket cause they don’t make the original part and they will not cover anything that isn’t the original part… which tesla never keeps out of date products such as batteries etc cause they are constantly improving them etc. So if you own a tesla look and see that they are the only ones,… The model s and model x excluded from their best coverage which still isn’t that good. If you own a tesla and have been making money renting thats great but you will be an idiot to keep doing it and will lose every dollar you made once you have an accident. If all tesla owners like myself take our cars off turn they will have no choice but to give us acv (actual cash value) and rcv (replacement cash value) values to our cars like the rest cause tesla’s are their NUMBER 1 RENTAL CAR IN EVERY CITY!!! WITHOUT TESLA’S THEY WILL LOSE THE MAJORITY OF ALL THEIR BUSINESS AND PROFITS AND COMPLETELY FAIL AS A COMPANY POTENTIALLY OVERNIGHT. Always wanted to rent your neighbors Porsche for the day? My experience was this. Upon returning a smartfor2 after a 7 day rental (6 because it sat in my driveway one day refusing to start), the owner reviewed the car, gave me 5 stars and said Ciao. Two days later I got an email from Turo explaining i owed $250 in cleaning fees. The pictures claim ash in the car, but they are simply bits of dirt or dust that was leftover from the day and drive back to his condo 10 miles from my neighborhood. Prior to return I washed the car for $30 and hand vaccumed. I even left car wipes in the car because I bought them to wipe his vehicle down and had no further need for them. 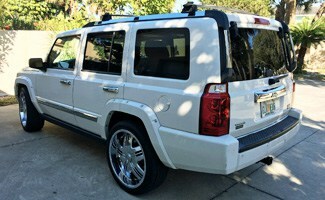 The owner submitted a cleaning receipt of $230 from a high end hand wash, wax and detail car wash! So Turo says I owe them $250! Like wtf!!! I’m not paying for this guy to take his teeny weeny smart for two to a high end car wash! Turo’s email says I may dispute the charges, or if I decide to simply pay, they offer payment plans. So kind! I got a feeling and blocked my credit card they had on file, and emailed them back saying I wanted to dispute. I explained I don’t smoke weed, had washed the car vaccumed etc.. Turo emailed me back, AFTER attempting to charge my card the full $250 WITHOUT CONSENT, saying I have no dispute process since I have no pictures! I told Turo there was no way I was paying for this guy to get his car washed and detailed at a luxury car wash! Then the threats of collections began. I began to receive emails saying if I didn’t pay up they would send my bill to collections. A couple days later I got another email saying the owner submitted proof that I drove 83 miles over my limit of 380 miles. First of all, there is no way in hell I drove 380 miles doing errands in my neighborhood and getting to work ( I had an accident and lost my car, needed a transitional car), especially when the car sat in my freakin driveway after refusing to start for a day (Turo also would not refund me for the day, or the week for that matter, when I requested. So if you get a bum car you’re in the hole). Let alone drive 440+miles in a week. There is just no way. The evidence pictures uploaded by the owner show the odometer time reading 6pm and 2am. My pickup and dropoff time was 11am, so theoretically, the odomenter should read the same time, albiet incorrect if in fact he didn’t decide to go for a nice joyride, racking up the miles before trying to drain my account another $250. I pointed all this out to Turo and requested they contact Eugene for screenshots to prove the date and time. They refused and said the original pictures were evidence enough. Turo seems to only care about digging into your account. They’ll take any profit over client retention. The trip for 6 days was supposed to be $192.00. After Turo fees, this rental would have been $710.18… for a week. You do the math! The big problem here is Turo bully tactics to scare people into paying whatever fees they claim against the renter. I met with my lawyer who explained what Turo would need to lawfully sell this ‘debt’ to collections, and that is due process. Could you imagine a world where anyone could claim a debt against you and send it to collections? They have been sent a cease and desist letter. If I hear from some questionable collections agency, we will see them in court. Know your rights and if you get harassment letters and threats of collections without hearing YOU or due process get a lawyer. Or better yet, avoid this company at all costs. Has anyone made progress with the Turo claims process? My car was extremely damaged by a renter who drove it in a snowstorm after I pleaded her not to. She was very clearly in a hit and run accident with another (white) vehicle, as evidenced by the paint on my car. Because I reported the damage 24 hours and 55 minutes after she returned the car (due to the blizzard outside), Turo is telling me that I “may not be covered”. I’ve gone 40 trips without any damage claims and a perfect review record. The car is still barricaded into the spot with snow and has not been driven an inch. I’d love to get in touch with anyone who has been through this process as it seems the Turo service is less than comprehensive. I’ve used Turo too and they’re awesome! Love the selection and so easy to work with the owners directly vs a car rental company. Not avail everywhere but most major cities you can find a decent selection.